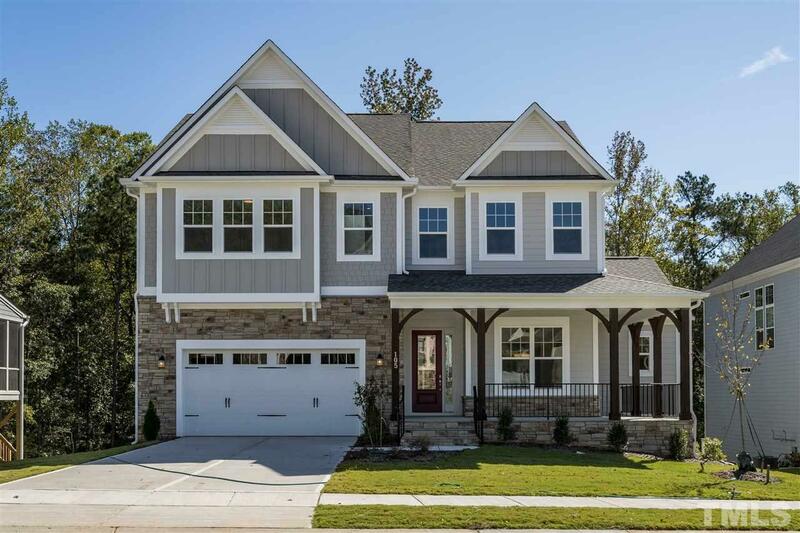 Popular model flr plan w/ a wraparound porch & finished walk out basement. 6 bdrms, 5.5 baths, large 1st flr guest ste, formal dining & spacious family rm that is open to a gourmet kitchen w/ huge island. 16âx12â screened porch & grilling deck that overlooks a beautifully wooded & private back yard. Upstairs the ownerâs suite has a spa like bathroom w/ tiled shower, seat, rain shower head & a vessel tub. 2nd flr also has loft, laundry, 3 bdrms & 2 baths. Basement has a bedroom, full bath & bonus rm.